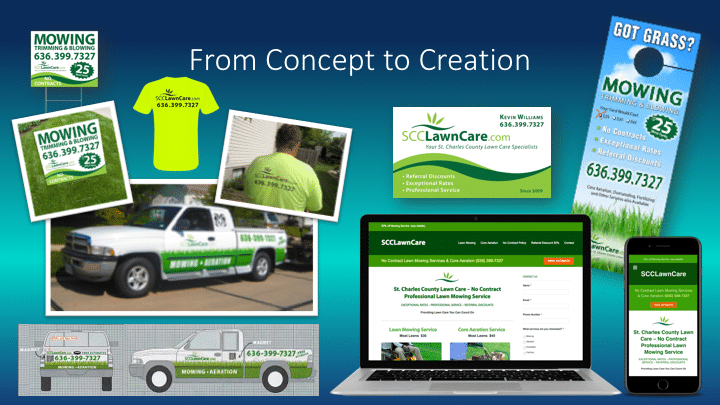 Kevin Williams approached our company to help him with his start-up business. 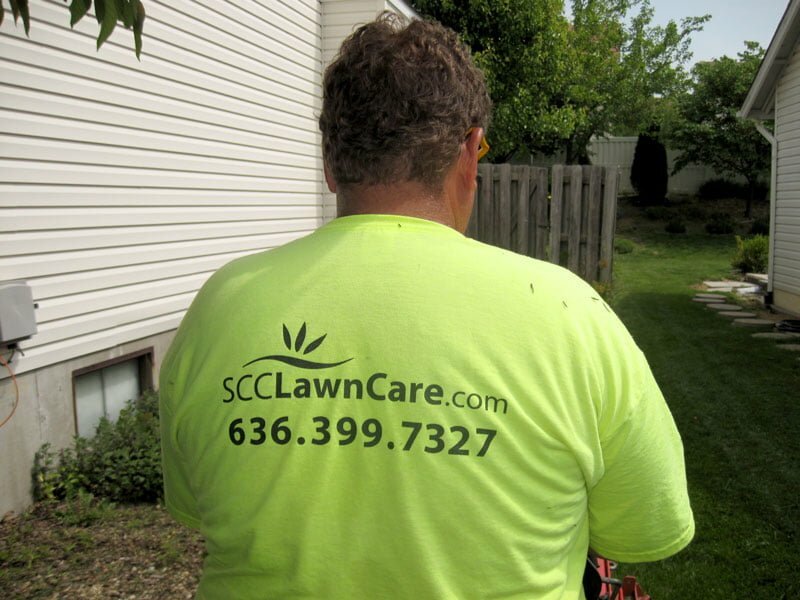 We chose the name, the domain, created the logo, and helped him with his value proposition. 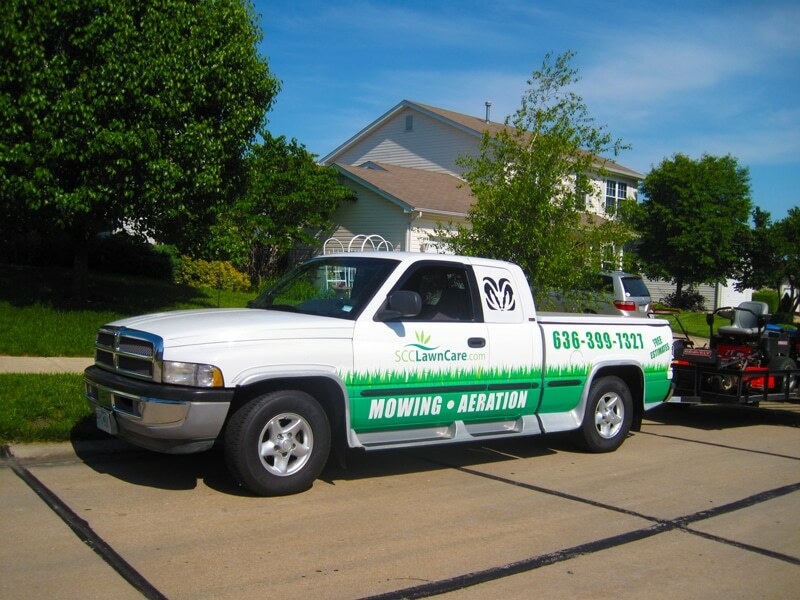 We also helped him with his website, print design and printing, t-shirts and truck wrap. 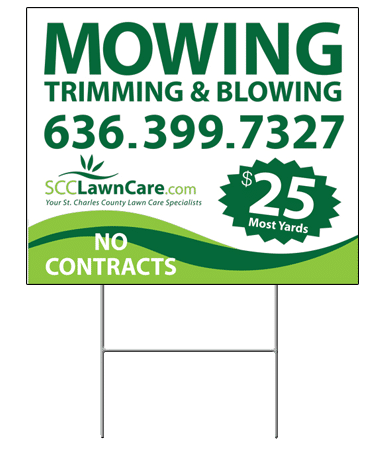 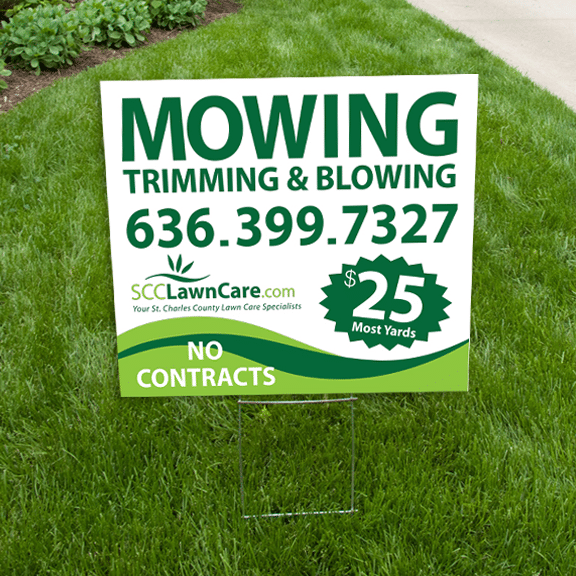 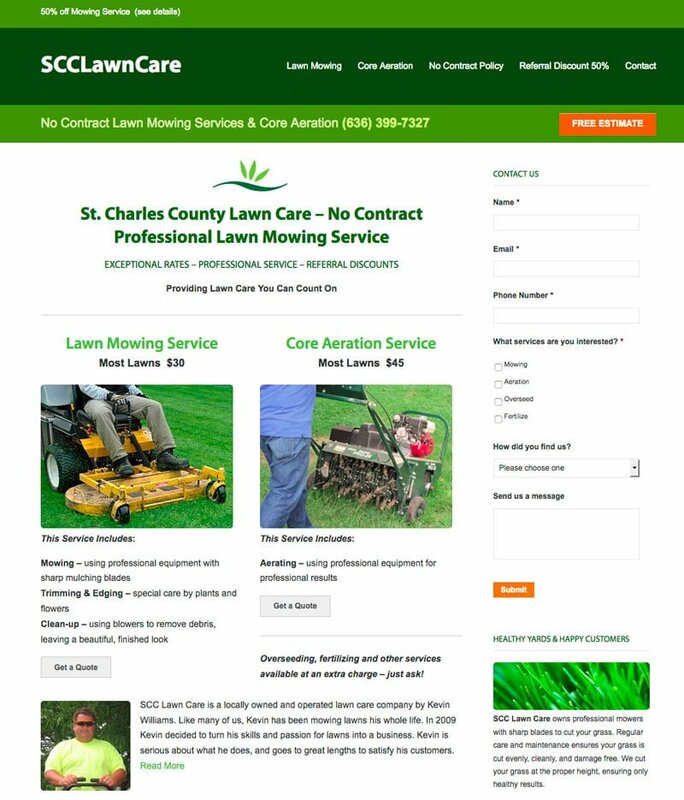 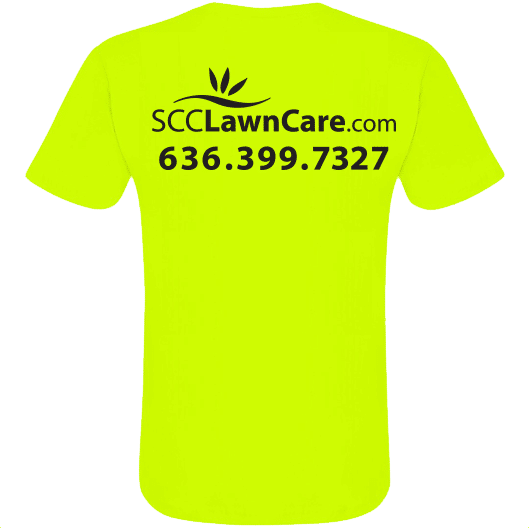 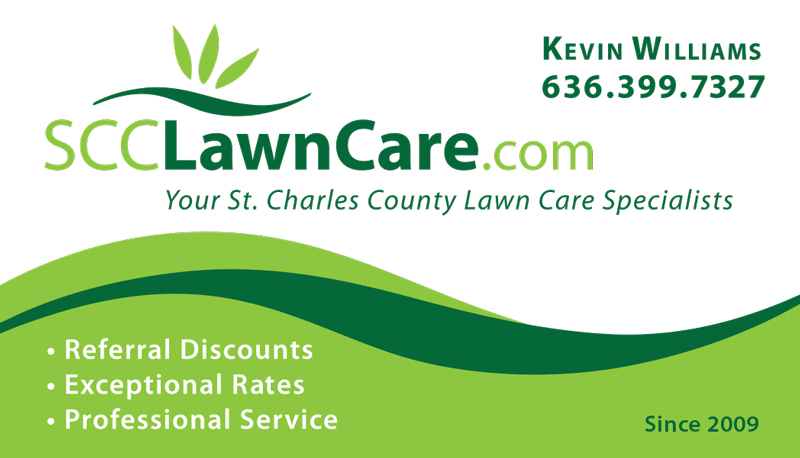 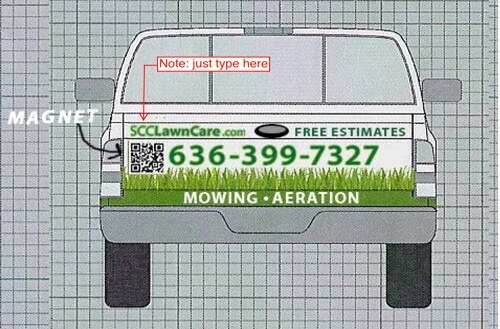 Kevin continues to dominate the St. Charles County area offering No Contract Lawn Mowing and Aeration. 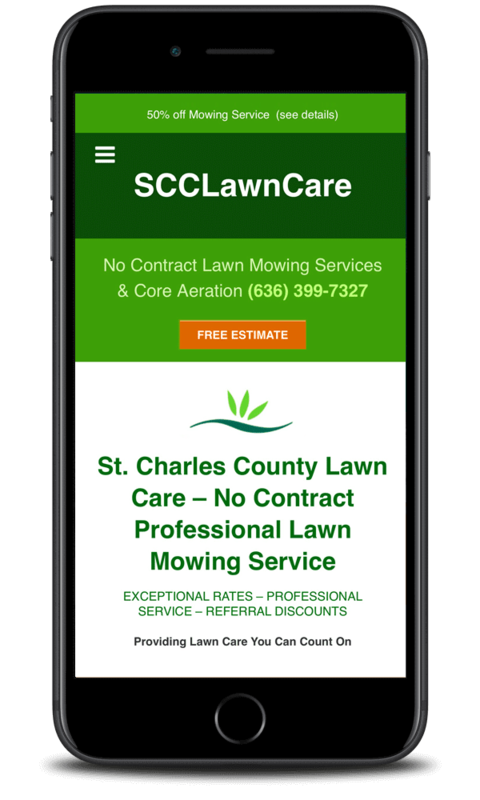 If you do a google search for lawn mowing ofallon, or when you’re in that area (Google knows your location), he’s #1 on the map!